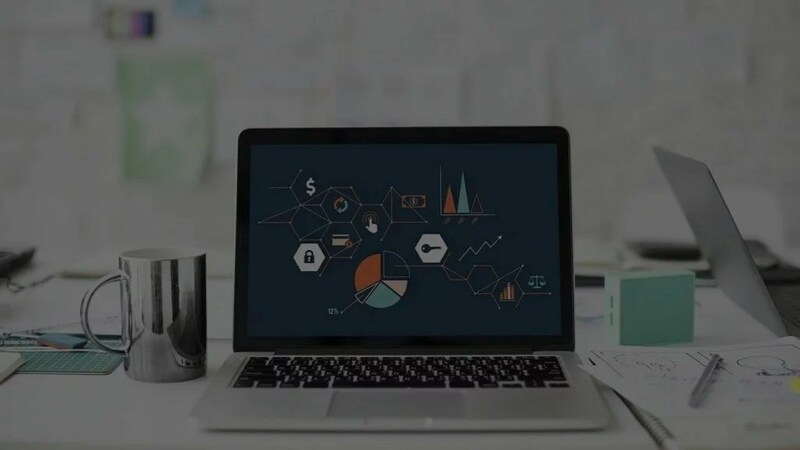 Best Cheap Web Hosting Services in 2019 "Review & Comparison"
Cutting edge web hosting seems to be an expensive affair— but it doesn’t have to be. There is a better alternative of cheap web hosting providers that offer true quality hosting, which is reliable, fast, and with excellent support without stretching your finances. It is never an easy expedition to find a decent web host that does not break your bank; not unless you are an outclass wizard. Many websites will run just fine on cheapest web hosting plans, but you need to be careful not to get cheap services instead. Excellent page load time, reliable uptime, and knowledgeable 24/7 customer support are the most important elements for a good hosting company with great value for your money. Cheap web hosting has its limits, for sure, but generally, they offer an array of powerful features for entry-level and small businesses. Most of them provide free incentives such as free domains, unlimited storage, free and easy migrating services, web builders, or marketing credit. Additionally, they are both fast and reliable. Linux Hosting Price : start in $ 3.92 (month), cPanel control oanel, unlimited traffic and storage. Windows Hosting Price : start in $ 4.90(month), Plesk Onyx 17.8 Control Panel, unlimited traffic and storage. A2 Hosting web hosting provides a wide array of services, which include but not limited to VPS hosting, reseller hosting, and cloud hosting. A2 hosting allows you to choose your own management level and also leverages the capabilities of some popular solutions such as WordPress, OpenCart, Magento, etc. to provide clients with fast speeds and superior security. This platform has data centers in Arizona (USA), Michigan (USA), Singapore (Asia), and Amsterdam (Europe). 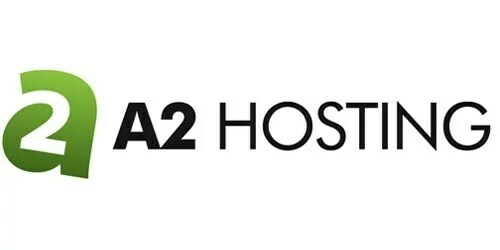 A2 is the best cheap web hosting provider known to be a developer-friendly company. It offers high-quality hosting service with many extra features added for free to target beginner and intermediate users. It provides both Linux and Windows managed servers at a very affordable web hosting plans starting $3.92 monthly. Whatever plan that excites you, you will be able to meet the demands to run an effective online business efficiently. Start in $ 2.95(month), With unlimited traffic; Free domain and SSL; 45 Days Money Back. FastComet has eight serves in major cities like Chicago, Singapore, London, Tokyo, and Amsterdam. It has brought its servers closer to its 45000+ clients across 83 countries to better their experience. It has strong uptime, fast performance, and free additional features such as free domain for life with amazing plans that start at $2.95/mo. They offers free daily backups; multiple serve location, 24/7/365 instant support, cloud flare CDN Caching, Web Application Firewall, among other amazing bundled features. FastComet offers a longer-than-usual money-back guarantee of 45 days. It also provides free migration tools to new clients. If you already have a website, FastComet will help you move it over to their superior service for free. It has a dedicated team of experts that moves the entire site for you, so you have to struggle with “wizard tool” like other hosts. Start in € 2.99(month), 50GB Storage, unlimited traffic and free domain. Contabo is an Award Winning Web hosting based in Munich, Germany. It was founded in 2003 and proliferated to serve tens of thousands of happy customers across the world. The company focuses on attracting business customers by offering exceptional services that meet customers’ satisfaction and needs. Contabo has three business pillars: Customer is the King, Discount Prices, and Immediate Services. Contabo is popular for providing custom services to their clients, which are often in terms of incredible add-on services. The company also have an impressive multi-award winning 24/7 customer support. It provides four web hosting packages with startling features that suit every website requirement. The four hosting packages come with cPanel to seamlessly administer your site, unlimited traffic, and homepage builder as standard. The cheapest plan is WebSpace M that goes for 2.99 Eur/mo. It is built as a starter pack with free domain, SSL certificate, 1000 email addresses, 50 GB of storage, 20 MySQL databases, and more additional features. Start in $ 3.29(month), 1 Domain, Unlimited Traffic and Disk Space. Hostwinds offers an array of web hosting services suitable for various website requirements, both pocket-friendly and technical. Its primary focus is providing dedicated servers, SSD shared hosting, and VPS hosting. Hostwinds provides top-notch web hosting solutions with 24/7 tech support and up to 99.99% uptime guarantee to facilitate smooth and uninterrupted operations to businesses. Hostwinds has outfitted its data centers with cutting-edge equipment and reliable 24/7/365 network connectivity. It offers a number of budget-friendly packages that suit all business requirements. All packages come with 14-day money back guarantee, unmetered bandwidth, unlimited disk space, daily nightly backups, at least one domain, unlimited subdomains, instant setup, unlimited email accounts, free SSL certificate, site builder, latest cPanel, and many more. Prices are blocked at $ 5.00 (month), Unlimited Traffic and Storage, Weekly Backups, Unlimited Websites and SitePad Website Builder. Interserver is a company that has been in the market for about 20 years. With a quality service and good support, it has won many customers over time. In the same way that time passed, this provider also grew. And today, they offer some types of services like: web hosting, VPS, dedicated servers and Cloud. Your site hosting is baseline in the cloud, with global content caching. This ensures that your site loads fast. Surely this is one of the cheapest providers here, since its price is blocked at $ 5.00, with unlimited email accounts, free site migration, SSD and others. If you are looking for a quality and cheap service InterServer will guarantee a great service. Cheapest Website Hosting Price (very limited): start in $ 1.45 (month), 1 Website, 1 Email Account and 100GB Traffic. Premium Web Hosting : start in $ 2.95 (month), Unlimited Websites, Unlimited Traffic & Email Accounts e Free Domain Registration. Hostinger is the best web hosting that focuses on providing quality services at very affordable plans. It focuses on three important aspects. Server reliability/stability, fast performance, and excellent 24/7 live chat customer support, all of which are available at a pocket-friendly price. Hostinger is a VPS and cloud hosting company. Its shared hosting and VPS services are enhanced for WordPress, with ultra-fast SSD storage to optimize your site speeds. Its plans include daily or weekly backup to ensure your data is safe and sound at all the times. They serves millions of clients across the globe whom benefits from steady website operations, 99.9% guaranteed uptime, 24/7 exceptional and dedicated live chat support, with the cheapest plan that starts at $ 1.45. With Hostinger, launching a fully functional website using its drag-and-drop website builder is in minutes. And you will get a site that optimizes SEO and enhances responsiveness mobile devices. Start in $ 2.59(month), with SSD, SSL Certificate and Unlimited Traffic. DreamHost is a reputable web hosting service provider. It is user-friendly with easy-to-use powerful features, it never outsources its support, and it has a great website builder to save you the troubles of hiring an experienced web designer. Online live chart, ticket submission, and email support are available 24/7. All the three modes of support take less than a minute to get a representative to talk to you. Also, DreamHost utilizes the powerful solid state drives (SSDs), which makes your website load faster at any given time. DreamHost plan starts at $2.59/mo (with dicount of 56%), which is a decent package with loads of feature such as free SSL certificate, unlimited traffic, unlimited disk space, and unmetered bandwidth, with an amazing platform for WordPress. Upgrading to other plans gives you access to more powerful features. With about 15 years of market and more than 35,000 customers, eUKHost is undoubtedly one of the best web hosting providers in Europe. Its main focus is on providing excellent services and support to its customers. The products offered by this provider are: dedicated server, web hosting, VPS, reseller hosting and others. Their web hosting is offered on Linux and Windows, with 24/7 support and a 30-day money back guarantee. Their prices start at € 3.33, with free domain and unlimited traffic. Start in $ 3.95(month), 1 website, 50GB Storage and unlimited traffic. BlueHost is currently hosting over 2 million websites. Its user-friendly platform makes it easier to create attractive, stable, and functional pages for your business. It is among the most popular, inexpensive web hosting that offers shared hosting options, dedicated hosting, cloud hosting, VPS, and WordPress hosting. BlueHost offers a great uptime of 99.99% with an excellent load time that is up to 3 times faster than other hosts. Also, it is very beginner friendly, offers 24/7/365 live chat, free domain, 30-day money-back guarantee, and comes with other free features such as unmetered bandwidth and free SSL. They provides it’s client with more SSD storage, email storage, free domain, and fast performance for as low $ 3.95 per month with an option upgrading to other plans with amazing features. With several years on the market, MochaHost certainly should be on this list. Offering various services such as website hosting, VPS, dedicated servers, website counter; and others, they are one of the cheapest web hosting services. Your excellent relationship with CloudFlare ensures that your site loads almost instantaneously with the help of SSD and cloud storage. The opinions of MochaHost found by WPOneapp are mostly good, although I have seen some clinics negativizing their services. This may be a bad point, but keep in mind that everyone on this list has something a little similar. With all this said it can be said that this is a reliable service, with a good uptime, low prices and excellent website speed. Their website hosting prices start at $ 1.95 (three-year plan, 60% off). With free SSL, unlimited email account, unlimited storage and traffic. Start in $ 6.39 (month), With unlimited traffic & disk space; free domain/SSL. Additionally, InMotion Hosting monthly inexpensive plan includes security essentials to prevent malicious attacks and safeguard your data. It will keep your website running having 99.99% uptime guarantee, large bandwidth, and fast speed to satisfy all website visitors round the clock. Its platform supports PHP software, MySQL, and eCommerce applications. It also has BoldGrid, a free website builder that comes equipped with all business hosting plans. New business owners have the advantage of the easy-to-drag-and-drop tools bundled with pre-designed templates that facilitate building your own website while turning your ideas into reality without any coding experience. Visit InMotion Website to learn about its different cheap plans. Start in $ 1.99 “3 Yaers Plan” (month) , Unlimited Traffic; Free Domain and SSL. At as low as $1. 99/mo, with iPage, you will enjoy unlimited domain names, a smooth on-board process for new users, and enhanced online presence through robust tools designed to drive your business success. It is built with an institutive drag-and-drop website builder for easy use while the advanced option is also available for experts. iPage integrates VDeck cPanel to give users access to numerous tools that facilitate easy management of your business. They include eCommerce management, content management, built-in email solutions, one-click app installs, and a multitude of apps that seamlessly fit for any business industry. All these features are provided with a great value for your money. This platform has up to 99.99 uptime, fast performance, and security suite that offers round-the-clock network monitoring. To guarantee reliability, all plans come with a 30-day money-back guarantee. Start in $ 1.00 “with initial discount” (month); 1 Website; 100GB Storage; Unlimited Traffic and free domain. 1&1 IONOS is a cheap web hosting with an impressive amount of storage. Its cheapest plan starts at $1/mo. The other two plans start at $5 and $9/mo respectively. All the three plan comes with extras like DDoS protection, geo-redundancy, and HTTP/2 protocol. Every 1&1 package comes with a 30-day money-back guarantee and a staggering storage space, unmetered bandwidth, 1GB SSD storage, up to 25 databases and with 2.5 GB of system memory. On top of all those amazing benefits, you will get one free domain for a year, 10,000 sub-domains, 500 mailboxes with 2GB storage per account, an SSL Certificate, $100 worth of Bing Ads credit, 70 web applications, and 24/7 live chat customer support. Summing up, as seen from the aforementioned thirteen web hosting service providers, you don’t need to break a bank to run your website with scalable performance and easy administration. With as little as 1$, you can run a site with a web hosting provider that uses the latest technology to ensure top-level performance, around-the-clock protection, daily backups and restore points, and with amazing extras that entice traffic and conservation to your site. A good web host should provide enough space, excellent uptime with 24/7 live chat support, fast performance, and should have tools to ensure your online presence is visible to your customers all the time.